Home HR Trending What Do Military Veterans Bring to Supply Chain Management? 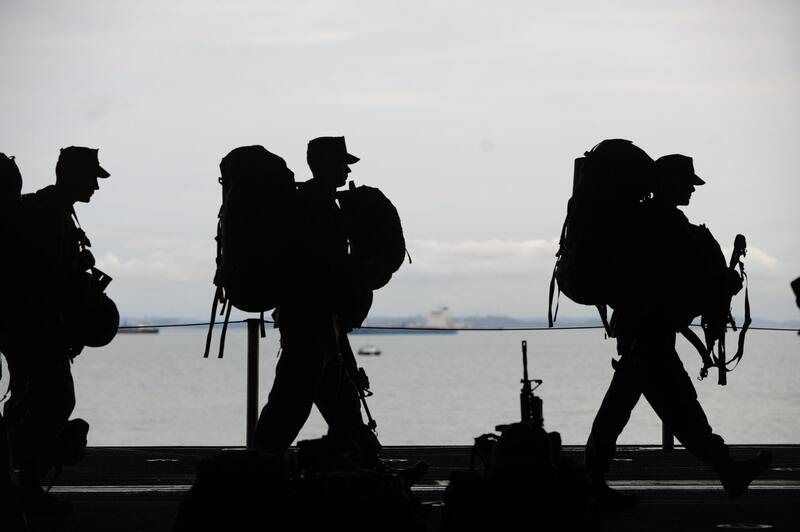 What Do Military Veterans Bring to Supply Chain Management? The term logistics has its origins in military strategy. According to Supply Chain Dive, readers can learn the virtues of effective Supply Chain Management in texts published as far back as Sun Tzu's The Art of War. It's clear that America's military personnel are more than warriors. They are also superlative logisticians. In the highest of high-pressure situations, they work to ensure that troops, weapons, ammunition, and life-saving equipment dependably reach their destination. As such, veterans are perfectly equipped to fill just about any position along the supply chain. From inventory management to decision planning, these are positions that organizations are increasingly eager to fill. Abe Eshkenazi, the CEO of the Association for Supply Chain Management suggests that demand for Supply Chain leaders is far outstripping supply. "It's estimated," he remarks, "that demand for supply chain professionals exceeds supply by 6-1." He adds that demand is only expected to grow in the coming years. "The U.S. Bureau of Labor Statistics reports that the number of jobs in logistics will grow by 26% between 2016 and 2020." In spite of high demand, many organizations still neglect to actively recruit military veterans. Citing findings from Deloitte and The Drive Project, Procurious writes that 30% of businesses have never even considered employing a veteran. Though the other 70% appear more open-minded on paper, the majority will not hire someone without explicit industry experience. Companies like SAP and institutions like Pennsylvania State University are offering veterans the chance to gain the experience, but far too many organizations are ruling out this valuable class of professionals. Obviously, veterans boast hands-on experience with a unique brand of Supply Chain Management. In honor of Veteran's Day, let's take a closer look at the impact they could make on your Procurement team. Veterans are the ultimate team players. From the moment they join the Armed Forces, they are compelled to plan every action and make every decision with their team's well-being in mind. They should have no trouble applying these principles to help foster mutually beneficial relationships across the supply chain. Their facility for instilling trust could prove especially valuable in the Procurement consulting space. Suppliers and stakeholders will feel confident following the lead of an individual who has tailored their collaborative skills in the heat of combat. This is another unique skill that veterans begin developing from the moment they enlist. Our country counts on its servicemen and women to both follow orders and - where necessary - confidently take on a leadership role. While veterans understand the importance of carrying out their own tasks, they are willing and able to take the reins at a moment's notice. A veteran promises to gift your organization with a uniquely flexible and adaptable approach to Supply Chain Management. They'll happily embrace the chain of command, but they won't hesitate when new and unexpected responsibilities come their way. There's no place for biases or prejudice on the battlefield. Veterans are used to working alongside and placing their trust in a diverse group of people. They have experience leading and following people from a variety of backgrounds and they've likely internalized the value that diverse perspectives can bring an organization. As businesses look to place a greater emphasis on diversity and inclusion, the disciplined, goal-focused mentality of military veterans could also prove useful. Veterans can speak to diversity's tangible value in high-pressure situations and leverage their experiences to enforce compliance. More than any group of people, perhaps, veterans understand that responsibilities matter and actions have consequences. Given a task, they see it through to the best of their ability whatever the personal cost. What's more, they'll actively seek out new opportunities to optimize Procurement's procedures and processes. They will not, however, make an excuse, attempt to hide, or look for a chance to pass the buck. Veterans cannot help but hold themselves to a high standard during their military service. Procurement groups who hire veterans can expect them to do the same once they've entered the workforce. Eshkenazi acknowledges that, however eager and accomplished, every veteran will take to time to re-adjust as they enter the workforce. "One of the biggest challenges when employing veterans," he says, "can be chalked up to a simple translation problem . . . human resources specialists often don't understand the crossover between military and civilian experience." As they look to fill a record number of open positions, these hiring professionals need to undergo an adjustment of their own. They need to begin retooling their processes and rethinking their methodology to better serve the pool of highly-qualified military veterans. The perfect hire could be out there waiting to report for duty.